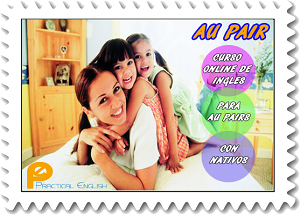 ¿Au Pair? ¿Qué es eso? Well… not me, I took TWO MONTHS to do match and 9 families sent me mail, I managed to see 6 of them on Skype and 2 Au Pairs going out of them. During this process almost go diabetic; each time that my cell phone sounded warning that I had a new mail, my heart started to beat as fast as Usain Bolt. I used to say AYSENORDIOSMIOJESUSCRISTODELADIVINAMISERICORDIA as my godmother Lupe does, have you heard that Eminem is the fastest speaker? Because these are lies... my Pupe beats him when she prays. 2 girls of 10 and 7 years, the 7 years girl was adopted and had attention deficit (ADHD), mom was judge and dad systems engineer. We talked about two days (Sunday and Monday), the first day took us almost 2 hours and the second 40 minutes, everything was going very well, the second day I even spoke with the Au Pair that was going out, she told me that she liked me very much, they told me that they were not talking with anyone else and I felt a lot of illusion. We agreed that on Wednesday we would give a response. On Tuesday they sent me an email saying that they wanted to make a match with another girl that would fit more with what they were looking for. We talked and everything was very good, she needed an Au Pair urgently, it was a very good opportunity that because I had a lot of free time (8 am to 3 pm) taking care of the little girl needed some work, but it was not very heavy. The last Au Pair stayed for 3 years, she completed a Bachelor's degree and got married, she made it big. What made me reject this was that lady had a boyfriend and he was coming to sleep in the house 2 days on weekends and I don’t know… I've never been fan of men, I didn't want to give the benefit of the doubt, it didn’t feel good (I hope it isn’t that way) besides that mom would hardly be at home because she had to drive 4 hours a day and I least I wanted was to feel alone. I ALMOST go with them; we only talked by phone and mail (mom explained to me that they liked to talk first by e-mail, then by phone, and at the end by Skype) the one that I did see by video-call was the Au Pair. At the beginning everything was great with them, it seemed that they were a nice family, but what made me feel awkward was that the mom was very controlling (in terms of the house and children) one day she sent me a 30-page document explaining me what I should and should not do, she asked me THOUSANDS and THOUSANDS of questions, but on the other hand they gave the Au Pairs many freedoms, like let them go to concerts or go to parties and even invited them to Super Bowl games. They were very excited with me, almost daily they used to send me whats app with images of children, home and pets. What happened to me with them was that they asked me if I wanted to be their Au Pair and I said yes, but they never send me an official mail, this made me feel unconfident, I asked when we would make it official and told me that they needed to check my date of arrival between other excuses, THEY HAD ME LIKE THAT HALF MONTH, they gradually ceased to answer me, until I spoke with a Matching Counselour in the United States and GUESS WHAT. They told the offices of Au Pair that they were NOT yet ready to make match, that they were interested in me but they wanted to continue to see more options. I was all excited and engaged and they still wanted to "see more options"... For obvious reasons I didn't go with them. If a family wants to attach you in the same way, keep on seeing families, regardless of anything. 2 children, a boy of 8 and a girl 4, I do not remember that the parents did for living. I could not talk much with them, they told me that they were interested, but at that time I was hooked and thought I was going to go with the Atlanta’s family, so I told them that I already had a family, after two days I sent them a mail and told them that my match was not sure, I asked them to give me an opportunity to speak with them. 1 4-year-old girl, mom worked in human resources in a hospital and dad, I do not remember but he traveled much. 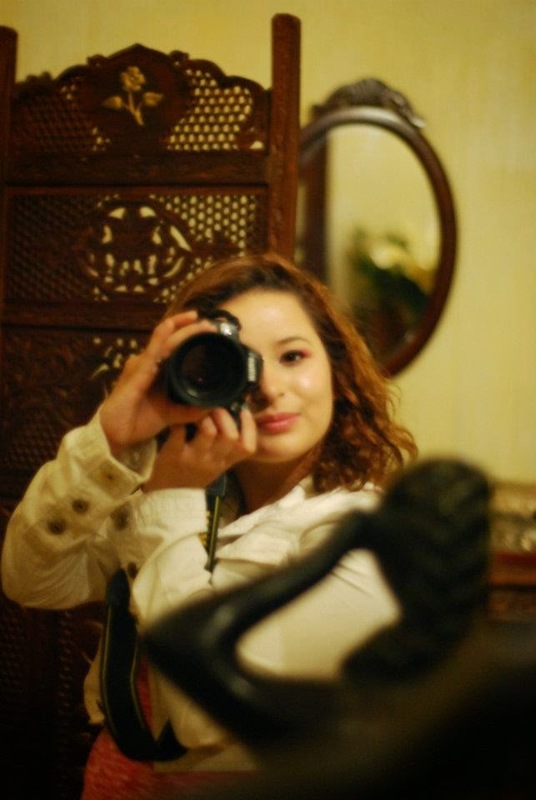 On this occasion my agency contacted me and told me that the family was looking for a Mexican Au Pair, through good experience they had with the compatriots, the agency contacted MANY girls, then the Au Pair who was coming back to Mexico made a filter so the Host Mom would only interview the best ones. I passed the first test that was to be interviewed by the compatriot, thank God I do have experience with children (cause there are many girls who do not) and that helped me a lot for them to see me as a reliable person. In the second interview with the Host Mom, everything was great, excellent. However I didn't want to feel sure about it cause I knew that there was much competition. 2 girls 5 and 3 years, gorgeous girls, mom was Dr. and dad I cannot remember XD, but he was going to live in Miami for work. The family was very very nice and spoke Spanish, because dad was from Colombia, during the whole interview everything was very good, they were the only family that told me that they could not lend me a car because dad was going to take it... but either way it was not necessary cause I could take the girls to school by walking, it was 3 blocks away. The bad thing was that mom had a very OUTDATED SCHEDULE and that didn’t help me at all, if you go to the school, you need a fixed schedule and this family could not give it me. 2 boys of 12 and 10 years old, I can’t remember what the parents did. With them there I had NO communication at all, Au Pair in America notified me that they were interested in me but they did not send me any email, so I took the initiative and sent them one, saying that I had read their profile and that I was interested in them, that they could contact me anytime (May 7th) all of that was at 11 am, they answered at 9 pm saying that they wanted to talk to me on Skype, I answered right away and waited all day following for their call (May 8) but nothing happened. On may9th they sent me an email at 6:43 am asking if I was available (WHO THINKS THAT I AM GOING TO BE AVAILABLE AT THAT TIME? ), I replied at 7:15 am saying that I was, I waited until 8 am and there was no answer, so I went to a cardio class, I came back at 10 am and I saw that they called me at 8:10 am (D: NOOOOOOOOOOOOO) I wanted to die. Things happen for some reason and I have no doubt that this family is not tolerant. 3 children, 12-year-old girl with a mental delay of 2 years, a boy of 6 and a girl of 5, such a BEAUTIFUL FAMILY! Both parents work in the US Army. Mom spoke to me on Skype and I saw the kids, everything was PERFECT, I sang to them Heads, shoulders, knees and toes with the guitar, and they began to dance *w*, mom was SUPER NICE, the schedule was great, free time from 8:30 am to 3 pm, University near to the house, truck for transportation of kids and car for personal use. The truth is that as I saw them I FELL IN LOVE, I prayed to God so I could go with them (GRACIASSENORDIOSMIOJESUSCRISTODELADIVINAMISERICORDIA) soon I will see them :) within a month, on July 28. 2 guys, a boy of 11 years and a girl of 15, I don't remember that parents did. They contacted me a little later than the Illinois family; I had the opportunity to talk with them on Skype since the other ones hadn’t give me concrete answer. It was also a good option, it was a very cross-cultural family, dad was Spanish and mother was Chinese, but I wasn’t very sure about the age of the “kids”, I didn’t like the fact that they were both teenagers. What mom wanted more than anything was someone who knew how to drive safely. The thing is that the Illinois family asked me first and OVBIOUSLY I said yes, cause they were the ones I wanted to be with. The reason why I shared this is so you can see that perfect match doesn’t always arrive early and there is no reason to be desperate even if the agency or the situation starts pressing, I say this because my mom pushed me a LOT, she even said to me... "You have up to ____ day to find family, if not you will stay!” but DON’T YOU choose a family if you are not SURE... cause you can regret it. Publicado por Unknown en 9:50 p. m.
Dos semanas antes del vuelo: Visa y regalos. ¿Cuánto gasta una futura Au Pair?